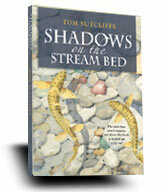 Shadows on the Stream Bed by Tom Sutcliffe is a celebration of fly fishing by South Africa's most celebrated flyfisherman. Yet you don't have to be a flyfisher to enjoy the people and places he describes so lovingly. Tom's writing is sometimes deep, sometimes hurries along, is often lyrical and beautiful, always sparkling - a lot like the crystal streams of the high mountains of South Africa where the brown and rainbow trout thrive. He has more than anyone in the history of South African flyfishing walked and waded every metre of these streams, kilometre after kilometre. Fishing each pool, run and riffle on those both well-known and unnamed - from the finest blue ribbons to those that have hardly the width or length of a piece of packing string. This book continues his journey. Tom Sutcliffe has written five previous books on fly fishing and fly tying including the best selling Hunting Trout and The Elements of Fly Tying. He has fly fished in every corner of South Africa and many places around the world.